Freemasonry is the world’s oldest and largest fraternity. It is also an applied system of moral and philosophical study aimed at improving the minds and characters of its adherents. Freemasonry is not, however, a religion. We welcome members of every country, sect and opinion. 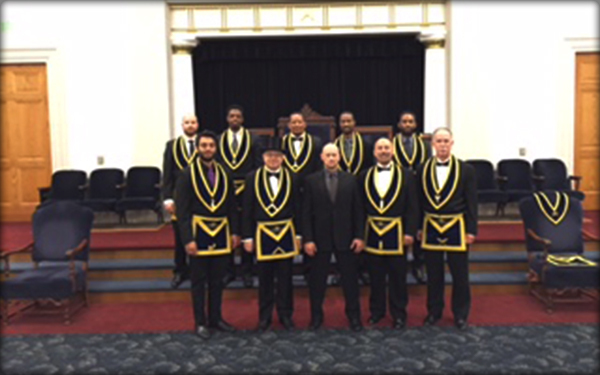 The Degrees of Masonry are ancient ceremonies, rich with symbolism, by which the Craft is taught to new members. 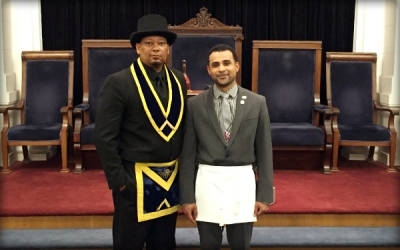 The three Degrees of Craft Masonry are: Entered Apprentice, Fellowcraft, and Master Mason. After receiving a Degree, the candidate studies the meaning of its symbols. For more information on the Degrees, see “For Candidates“. Freemasonry teaches the importance of an industrious life; that we should continually work toward the betterment of our selves, families and friends, our communities, country and the larger world around us. We find Brothers across the globe united by this simple principle. Masons agree that all mankind are one family. We recognize the equality of all men, without regard to material distinctions. The principle tenets of our Fraternity bring together men of all races, religions and professions. For more about our Lodge in particular, see “About Our Lodge“. The first U.S. president was known to us as Brother George. He was made a Master Mason on August 4, 1753, in Fredericksburg Lodge No. 4. Los Angeles Lodge No. 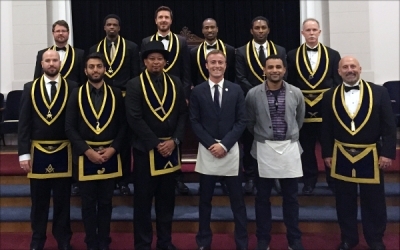 42 has the unique distinction of being the first Masonic Lodge established in Los Angeles, and the second oldest in all of Southern California after San Diego Lodge No. 35. Established in 1853, our rich history dates back to the early days of American settlement in the area. We count among our Past Masters and members scores of men who influenced the course of what has become one of the world’s great metropolitan centers. Over 160 years later, our Lodge continues its proud lineage as an active, vibrant Lodge. Our first Lodge building, pictured above, was completed in 1858, and was our meeting place until 1868. Today, it is part of El Pueblo de Los Angeles. We currently hold our meetings at the Santa Monica Masonic Center, in one of the most beautiful Lodge rooms in all of California. Our Stated Meeting is the first Tuesday of every month. The dinner preceding the meeting is open to prospective candidates. Attend a Stated Meeting dinner (first Tuesday each month). 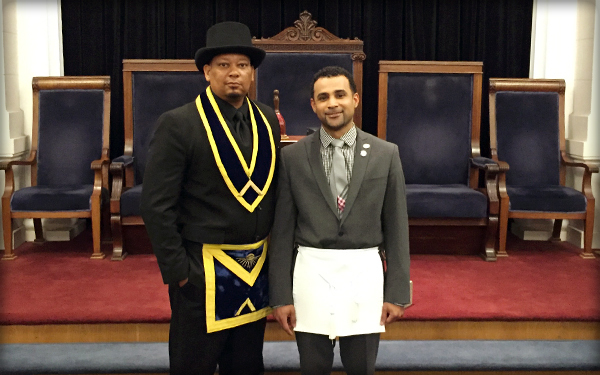 Our Lodge meets on Tuesday evenings at the Santa Monica Masonic Center. No one will ask you to join Masonry, so that you may ask for yourself. Your Application for the Degrees must be recommended by two Master Masons who are members of the Lodge you wish to join. If you don’t know any members, a Stated Meeting dinner is the best way to meet many at once. Our Stated Meetings are the first Tuesday of each month. Your application will be read at a Stated Meeting of our Lodge. If accepted, a committee will be appointed to meet you and discuss your application. 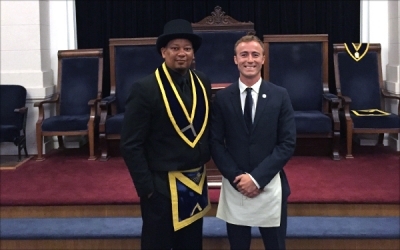 These interviews are confidential, reported only to the Lodge Master. At a subsequent Stated Meeting, the Master will announce the results of the investigating committee’s reports, and a secret ballot will be taken. The ballot must be unanimously favorable. The Secretary will notify you of the outcome, and if elected, the Master will schedule your First Degree. Our application fees of $244 cover instructional materials, and include contributions to foundations like the Masonic Homes of California. 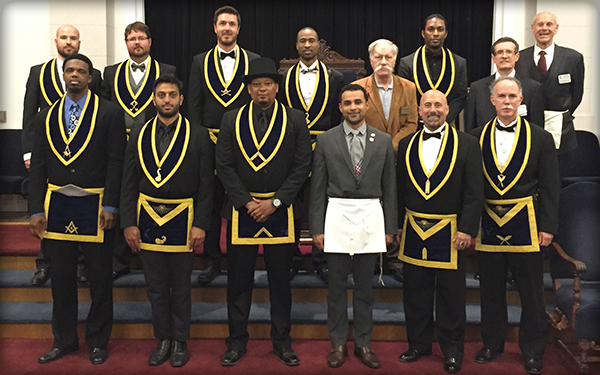 Masons pay annual Lodge dues. Ours are currently $111.50. The first duty of Entered Apprentice and Fellow Craft Masons is to study the materials presented at the conclusion of the Degree ceremony. Candidates are advised to begin this study immediately. Before a candidate can receive his next Degree, he must return his written answers to certain questions, and must also pass a spoken examination pertaining to specific aspects of the ceremonies. Lodge Officers are available to help with this, but it is the responsibility of each candidate to study independently. Contact the Master or Candidate’s Coach for more information. It is also expected that the Candidate will take an active role in the activities of the Lodge. This includes supporting fellow candidates by attending Degrees which he has already received, and attending our Stated Meetings and other special events. Consult our calendar for upcoming events. 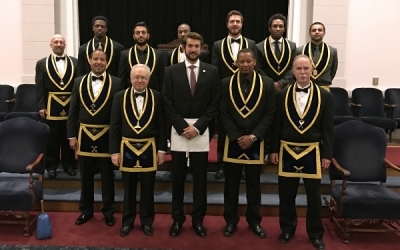 Candidates must advance to Master Mason within three years of initiation, or be subject to forfeiture of fees paid, and denied further advancement. If this may apply to you, please contact the Master. 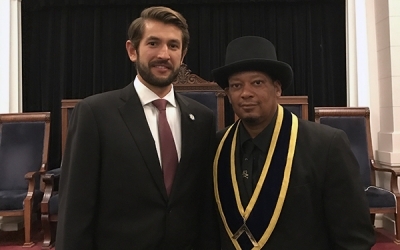 Master Masons may serve as Lodge Officers and may also take the degrees of other Masonic bodies, including the Scottish Rite, York Rite, and the Shrine.